What better way to learn maths than with an addition puzzle? Your maths star will practise addition and get a taste of problem solving with logic. Sin-Ku had 94¢ and bought a cookie for 75¢ from the bake sale. How much money did he have left? This worksheet encourages students to use the part-part-whole concept (number bonds) to solve subtraction word problems about money. 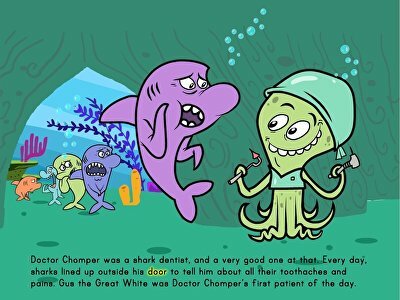 Your child will develop the skills necessary to recognise patterns by completing inverse operations as well make a connection between addition and subtraction. 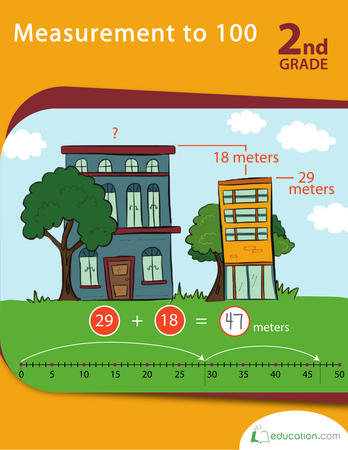 Give your students the resources they need to solve word problems with this maths lesson. 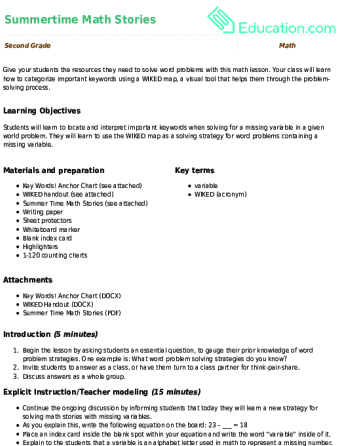 Your class will learn how to categorize important keywords using a WIKED map, a visual tool that helps them through the problem-solving process. Leap and skip across the number line for addition and subtraction practise! Number line word problems help kids to easily visualize maths equations, and multi-step problems make for an extra challenge. 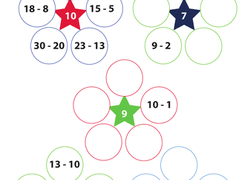 Can your second grader come up with subtraction equations that equal the number in each star? Count like a champ! 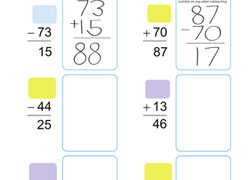 Your kid will find missing numbers in no time when he learns how to use a number line. Now get searching! 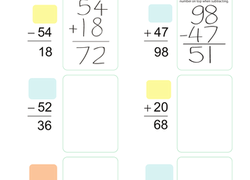 Kids practise reverse two-digit addition and subtraction to find the missing numbers in this year 3 maths worksheet. 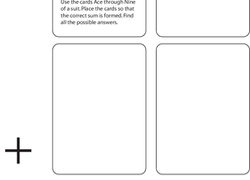 Add a fun twist to maths practise with these addition puzzles. Your maths maniac will get an introduction to logic and problem solving. 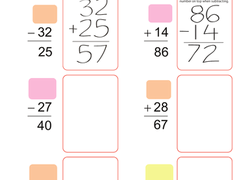 Make your student number one with this worksheet full of subtraction fun using a hundreds chart. 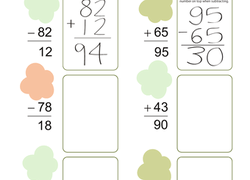 Kids practise reverse addition and subtraction to find the missing numbers in this fun year 3 maths worksheet. 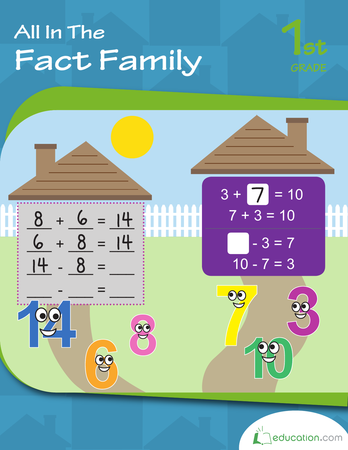 Your child can get a grip on number relationships by adding and subtracting the same numbers within a fact family, a great method for memorizing maths facts. 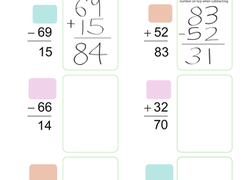 Kids get an intro to basic algebra by practising reverse addition and subtraction to find the missing numbers in this challenging year 3 maths worksheet. Kids practise reverse addition and subtraction to find the missing numbers in this challenging year 3 maths worksheet. Introduce your child to basic algebra with this year 3 maths worksheet. 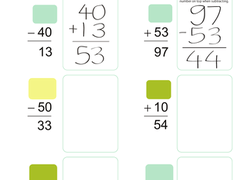 Kids practise reverse addition or subtraction to find the missing numbers. Subtract Ten or One to Get to One! Travel through the hundreds chart on a quest to one. Kids get a taste of basic algebra in this year 3 maths worksheet. 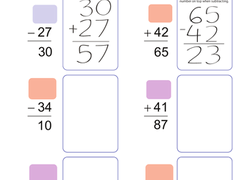 Kids flip the equations and reverse the operations in order to find the missing number. Help a squadron of spaceships blast off to the stars by completing these addition and subtraction maths facts. Kids try their hand at reverse addition and subtraction in order to find the numbers missing from each equation in this year 3 maths worksheet. Introduce your child to basic algebra with this year 3 maths worksheet in which he'll practise reverse addition and subtraction to find the missing numbers. 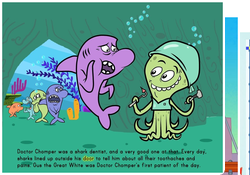 Work on subtraction in this short story about sharks who are mysteriously missing some teeth.